RESEARCH TRIANGLE PARK, NC—RTI International has been chosen by the United States Agency for International Development (USAID) to lead a task order implementing the Power Africa Beyond the Grid Program to accelerate off-grid electrification in sub-Saharan Africa and contribute to Power Africa’s goal to double electricity access in the region by 2030. More than two out of every three people in sub-Saharan Africa live without access to electricity. Power Africa began in 2013 with the goal to add 30,000 megawatts of power generation capacity and more than 60 million household and business connections. 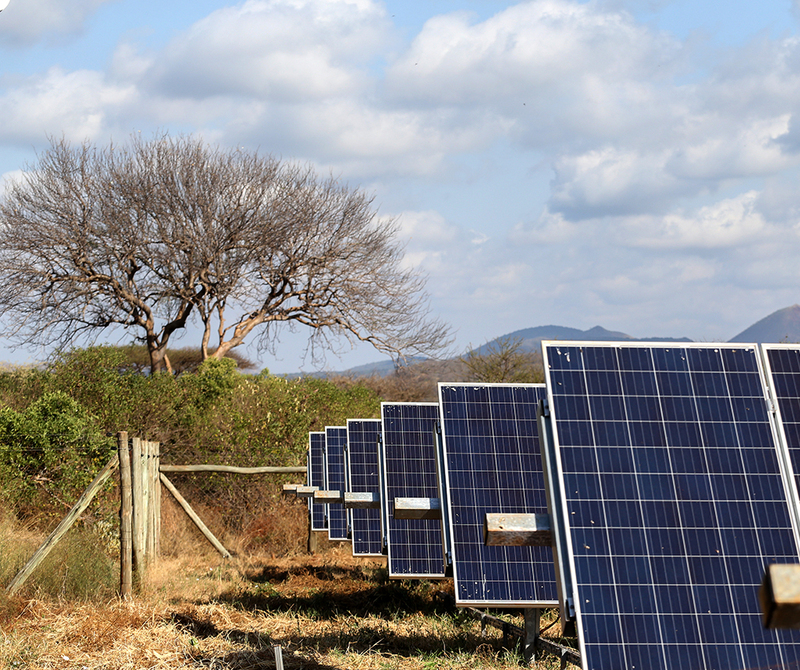 Its Beyond the Grid Program accelerates electricity access to households and businesses through off-grid solutions including household solar systems and micro-grids, aiming to achieve 25-30 million new connections by 2030. Under the task order, RTI will lead a consortium to facilitate 6 million new connections in the following countries: Cameroon, Democratic Republic of the Congo, Cote d'Ivoire, Ethiopia, Ghana, Kenya, Niger, Rwanda, Senegal, Tanzania, and Uganda. Our consortium partners are Tetra Tech, Practical Action Consulting, Norton Rose Fulbright, and Fraym. The consortium will also work to increase the availability of finance for off-grid projects and companies and improve the enabling environment in each country. Overall, our work under the task order will strengthen the capacity of local stakeholders to meet the energy needs of their communities, promoting self-reliance in energy as well as supporting economic growth and advancements in other critical sectors such as health and education through improved energy access in those sectors. The program began this month and will conclude in November 2022. RTI has decades of experience in the global energy sector and was named by USAID as a prime contractor on the Power Africa indefinite delivery, indefinite quality (IDIQ) contract earlier this year. Our experts design and implement solutions that can help countries build more sustainable energy sectors. We also provide innovative tools and approaches to increase the professional participation and leadership of women in energy. To learn more about our work in Energy for Development, please click here.